YOU MUST BE 18 + YEARS TO ORDER WINES FROM THIS SITE. Click here to read our terms and conditions. Tasting Notes: The bouquet is packed full of concentrated cassis and raspberries with hints of mint and toasty oak. The palate is elegant and complex with fresh mulberry, mocha and perfumed violet undertones. It finishes long and dry with balanced acidity and silky tannins. Food Matches: This wine is best served as an aperitif or alternatively would perfectly accompany a variety of Steak, kangaroo and pasta dishes. Winemakers Notes: Langhorne Creek, like the Adelaide Hills produces ideal climatic conditions for the production of premium Cabernet Sauvignon. The lake breezes and cool maritime conditions produce an extended ripening season allowing the development of intense varietal characters and aromatics. Cooler weather conditions during the 2015 growing season with below average temperatures during the months of January and February were ideal for the development of intense varietal characters. The Langhorne Creek parcel comes from the heartland of Larghorne Creek on the corner of Lake Plains and Salt March Road. 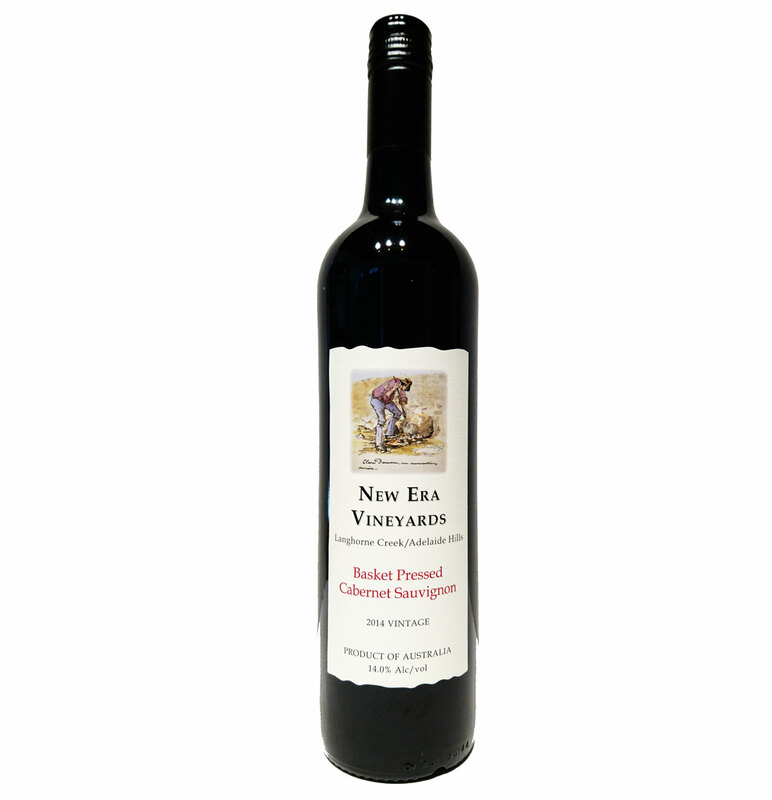 In early April the Cabernet vines left from the original plantings in 1988 at New Era Vineyards were hand harvested, destemmed and carefully without crushing combined into the same fermenter as the Langhorne Creek parcel. After fermentation the wine was left on skins for a further maceration prior to being basket pressed straight into French hogsheads where aging for a further 15 months occurred. During the aging process the wine is racked a number of times and bottled without any fining or filtration.